The Sound of Butterflies: Publication Day! 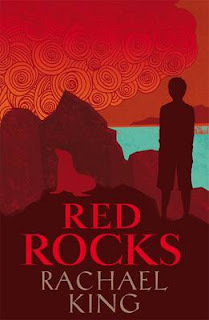 It's here - publication day for Red Rocks. It's always a strange feeling to describe. I sit at home while my book may or may not yet be on the shelves in bookstores around the country. But of course I'm excited, and that's what launch parties are for, to make the author feel like Something Big has happened. Speaking of launches, mine is at The Children's Bookshop in Kilbirnie on Thursday, June 7, from 5.45-7.30. Come along for a glass of wine, some nibbles and some electrifying speeches from the likes of me and the fabulous Jolisa Gracewood. All are welcome, but it would also be helpful if you could RSVP to reception@randomhouse.co.nz if you are thinking of coming along so we don't run out of aforementioned wine. The wonderful Children's Bookshop is the perfect venue for the launch, as it's a stone's throw away from the action of the story, which is Wellington's south coast. I've done a small interview over at the Christchurch Libraries website in celebration. You can read it here. And in this weekend's Sunday Star Times, I've written a wee piece about the books I loved as a child and the effect they've had on me. Do take a look. Hope to see you at the launch, and in the meantime, I'm off for a glass of wine to wet my new baby's head well and truly. Cheers. 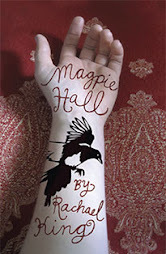 Congratulations, Racheal. Another beautiful cover and I'm very much looking forward to reading Red Rocks to my children. Hope you've been made to feel special in your launch and associated activities and that you've had time to enjoy them. I love your website and logo and am wondering if you could refer me to your designer. Congratulations on the new book.